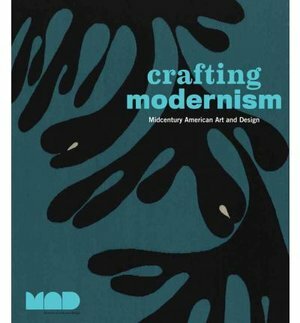 "Crafting Modernism: Mid-century American Art and Design" will provide an in-depth examination of the American studio craft movement in general, with detailed analyses of all of the major mediums (clay, wood, fibre, metal, jewellery, and glass) favoured by the greatest craftsmen of the period. Both an exhibition catalogue and an historical reference, "Crafting Modernism" explores the origins of the studio craft movement, the international influences that helped it grow in this country and abroad and its convergence with the fine arts. The post-war years were a time of particular importance for the studio movement as a new generation of craftsmen began to express cultural identity and artistic innovation as well as provide social commentary through their work in all media, which led to the proliferation of the craft movement to museums and exhibitions worldwide. Artists represented in this book include Anni Albers, Dale Chihuly, Hans Christensen, Charles and Ray Eames, Sheila Hicks, Wharton Esherick, Maurice Heaton, Dorothy Liebes, Sam Maloof, George Nakashima, Gertrud and Otto Natzler, Peter Voulkos and Russel Wright, among many others. "Crafting Modernism" is the fourth instalment of the Centenary Project begun in 1993 by the Museum of Art and Design to explore the origins and development of twentieth-century American crafts. New research has made this exhibit and book possible, exploring the rediscovery and reinvigoration of craft media in the post-war years.